“Swaraj is my birth right and I shall have it” was the most powerful slogan given by Bal Gangadhar Tilak better known as Lokmanya Tilak, during the freedom struggle of India. Bal Gangadhar Tilak who was born on 23rd July 1856 to Parvati Devi and Gangadhar Ramachandra Tilak, an eminent Sanskrit scholar in Chikhali village of Ratnagiri district had from the very start of his life showed legitimate signs of not-withstanding injustice and the strength to stand up for the right. Bal Gangadhar Tilak was a Chitpavan Brahmin by caste. His father, Gangadhar Ramachandra Tilak were a scholar in Sanskrit and a very famous teacher at school. Tilak himself were a brilliant student at school. He had a bend towards Mathematics and apart from reading his school books, to satisfy his inquisitiveness, he used to solve quizzes and puzzles of mathematics published in Cambridge Mathematical Journal. Unfortunately, Tilak lost his mother when he was just 10 years old and at the age of 16 years, also lost his father just months after his marriage. He was studying matriculation at 16 when he was married to a girl, who was just 10 years of age, Satyabhama. He later completed his Bachelor of Arts in Mathematics, first class from Deccan College, Pune in 1877. He was the first few in India that time to have received a college education. He enrolled himself in M.A but left his course midway to pursue L.L.B instead from Government Law College in 1879. After completing his graduation, Tilak began teaching mathematics at a private school in Pune but later due to ideological differences with the school’s authority and his colleagues, left his job and became a journalist instead. Tilak then, started becoming active in politics and public affairs. Tilak was an ingenious pupil but wasn’t much liked by his teachers because of his mischievousness and for beholding upright independent views. One such incident happened at his primary school in Ratnagiri, where one afternoon, as soon as the teacher entered the class, he saw shells of groundnuts scattered all over the floor. This of course, made the teacher upset and he angrily demanded from the boys the name(s) of the students who did this. Nobody spoke, the class remained utterly silent. This added fuel to the fire in the anger of the teacher and he asked all the boys to stand in a row. The, he began caning both the hands of each student as a punishment. But much to the teacher’s dismay. As he reached Tilak, the small child that he was then, refused to bring his hands forth stating the fact that “Since, I didn’t eat the groundnuts, I won’t receive the cuts of the cane”. These tenacious words of young Tilak left the teacher amazed and uncomfortable. The teacher rather asked Tilak, “So, who ate the groundnuts?” to which he replied, “Carrying tales is bad, so I won’t tell.” The teacher fumed at him and asked Tilak to go back home and return with his father the next morning. His father, the great scholar that he was, sided with his child’s remarks and politely stated to the teacher that his son was right. That Tilak doesn’t eat anything outside his home. Also, he doesn’t give Bal any money so that he could have bought those groundnuts himself. Lokmanya Tilak managed to organise people on grounds of festivities and occasions where people can forget their personal differences and feel for each other, be present in each other’s turmoils and mingle joyously. Tilak managed to transform Ganesha Chaturthi and Shivaji’s birthday into national festivals and instilling into people that they should meet often. These became breathing grounds of helding up discussions upon the plight of general masses and formulation of common ideals. Tilak soon spread this streak into every nook and corner of Maharashtra within a span of just few years. Bal saw an urge in him to make the masses aware of the concept of Swaraj, to nurture Patriotism in the minds of people and to make people thirsty for independence. To lay a strong foundation for the new way of life, an education system reflecting Indian culture had to be established. He knew that an education system which promotes Indian culture and instills nationalist ideals as the very basis can only mould good citizens for the future. Bal and his classmate, Agarkar began working to chalk out a plan for the establishment of such an education system. Then soon met Vishnu Chiplunkar, who himself a teacher wanted to wipe out the blind faith from the mind of people who were regarding British rule as a God’s gift. Bal, Agarakar and Vishnu, all impelled by the same idea led to the formation of Deccan Education Society, in 1890. The society started a New English School and Fergusson College in Pune which though imparting the education in English were fuelling the ideas of Swadeshi and Swaraj in the young minds. Tilak nor Chiplunkar drew a single rupee from the profits of the school and college. The field of education was to be expanded, people had to be made organised and roused to their own torments and duty. Tilak found newspapers as an effective medium for circulating his thoughts. It’s the collaboration of Journalists and Journalism that more than 100 countries now are breathing the breeze of independence. The very next year after the school was started, Tilak started two weeklies namely ‘Kesari’, a Marathi weekly and ‘Mahratta’, an English weekly. The newspapers attracted the people. In just two years, Kesari had more reader than any Indian language newspaper. The editorials gave a vivid and lucid picture of the actual happenings and people’s sufferings. They called upon every Indian to fight. The language used was so fierce and sharp that could even make a coward to jump on his feet to fight. When the weekly, published one such incident of condemning the cruelty of Britishers for ill-treating Shivaji Rao, the adopted son of Maharaja Rajaram, of Kolhapur. It brewed up unrest in people of Pune and Kolhapur due to such tyranny of Britishers. This led to 4 months’ of rigorous imprisonment in 1897 of young editors Tilak and Agarkar on account of reporting mere facts! Tilak was again sent to jail the following year for 18 months, when he published an inflammatory article in Kesari, siding with the Chapekar brothers who shot Commissioner Rand and Lt. Ayerst. Going to the prison made Tilak unstoppable in his quest for freedom. He led the ‘Swadeshi movement’ (boycott of foreign goods and services). Along with Gokhale, Ranade and Paranjpe, Tilak made sure the word swadeshi reaches the ears of every person. He further opened a Swadeshi market in front of his home. Made campaigns through newspapers and magazines that invited every Indian to boycott foreign goods. People joined hands with Tilak and foreign clothes were burnt to ashes. Foreign sugar was thrown away and local jaggery was used. Also, were started Swadeshi cotton mills, Paper mills and factories to manufacture matches. The tendency to defy slavery grew. The people’s love for their own country was galvanized as a result. Tilak joined the Congress in 1890 but was avert to the moderate attitude towards self-government. Thus, he toured India to spread the message of Swadeshi and Swaraj. During one of his speeches in Kanpur, he said, “Swaraj is our birth right. We want equality, we won’t remain slaves under a foreign rule. We cannot remain slaves under foreign rule. This left British government alarmed. Nevertheless, Tilak’s popularity grew manifold. Tilak was a critic of Mahatma Gandhi’s strategy of non-violence and civil disobedience. He was an eminent radical leader of the Congress. In 1905, Tilak formed a trio with Lala Lajpat Rai and Bipin Chandra Pal to mobilize the reformation of a “Self-reliant” and a “Self-Sufficient” society. Lal-Bal-Pal carried out huge demonstrations against the Bengal Partition which began in 1905. They also conducted nation-wide strikes to boycott goods of foreign origin. Their efforts saw an upsurge of radical sensibility among the Indian intellectuals. 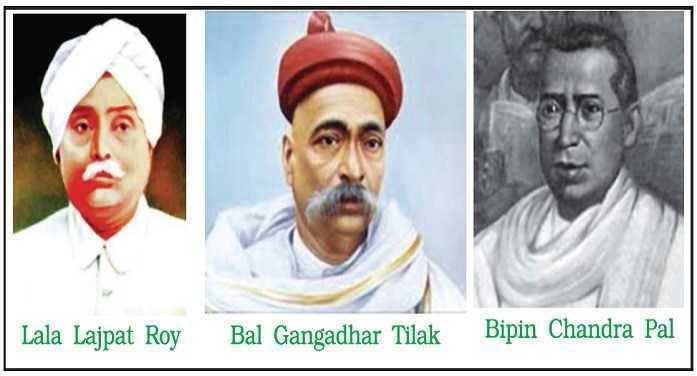 But by 1918, this triumvirate of powerful assertive freedom fighter saw a gradual decline because of the exile of bal Gangadhar Tilak accompanied with a voluntary retirement of Lala Lajpat Rai and Bipin Chandra Pal from active politics. In 1907, following the Partition of Bengal which was a smart move on the government’s part to weaken the freedom struggle, met widespread agitation from the masses. On 30th April 1908, two Bengali youths, Prafulla Chaki and Khudiram Bose threw bombs on a carriage at Muzaffarpur, with an intent to kill the Chief Presidency Magistrate, Douglas Kingsford, but erroneously killed the women travelling in it. While Chaki committed suicide when he was caught but Bose was hanged. Tilak drew his ferocious pen out and published yet another article in Kesari. Tilak was evicted on the false charges of sedition and sent to Mandalay, Burma for 6 years of imprisonment. Also, were levied on him, a hefty fine of 1,000 rupees. Tilak was given a small room made of wooden planks with a cot, a table and a bookshelf. There was no protection from wind and cold, he was also cut off from other men. Tilak used this opportunity to the full and read 400 books by the time he was released. He also penned down ‘Gita Rahasya’ a mighty work exploiting Karma Yoga of Bhagvada Gita. He had already authored ‘Orion’ in 1893. Moreover, he taught himself, German and French with the help of “Teach yourself’ guides. Being in jail, didn’t stop him of performing his daily rites of chanting hymns and doing yoga as his daily routine. Remorsefully, his wife passed way while he was roting in jail and she wasn’t able to see his husband even during the wee-hours of her life, such was the cruelty of Britishers. 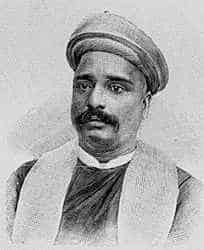 Bal Gangadhar Tilak after returning from his exile, started his campaigns again and asked Congress to carry out small and cohesive steps of establishing itself as a real political party. His ideas weren’t given much due by the moderates and Tilak began slipping into finding his supporters for the Swaraj movement that he wanted to carry out. He thus, teamed up with Annie Besant, Mohammad Ali Jinnah, Joseph Baptista, G.S. Khaparde and Sir Subramaniam Iyer. This movement was on the lines of Irish Home Rule League. They decided to form small home rule leagues in each region and organise this on a national scale. Tilak formed the first home rule league at Belgaum in April, 1916. This society demanded home rule from the British led empire just like the right every Englishmen has in England. Tilak began spreading the word to the villagers of nearby villages and won their hearts. The movement saw an eventual fall after Annie Besant’s arrest in 1917 and it was further brought to a standstill when Gangadhar left for London in 1918, to pursue a liberal case he had filed against an English journalist, Chirol, who wrote articles to tarnish Tilak’s image. Nevertheless, Tilak gathered support from the Labour Party of England and the movement saw a “progressive realization of responsible government in India”. At the age of 64, on August 1st 1920, Lokmanya(people’s leader) breathed his last. An ocean of people gathered at his house to get the last glimpse of their beloved leader, their political mentor. About 2 lakh people witnessed his last journey. Eminent leaders payed their homages at the last rites of Tilak. Mahatma Gandhi said, “He used his steel like will-power for the country. His life is an open book. Lokmanya is the architect of Modern India. Future generations will remember Tilak with reverence as man who lived and died for their sake”. A double graduate, Tilak could have earned much money by serving the British government but he chose to serve his countrymen, be of a real service to the nation. He was a member of the Municipal Corporation of Pune, Menber of Bombay Legislature, An Elected Fellow of Bombay University, his contributions remain unfathomable. Yet he led a very simple life. Tilak devoted his body and soul for the nation. He owned no property. He always donated his awards towards the betterment of Indian society either to his educational institutions or his press. Never derived a penny for himself. During his last hours too, he was wearing simple clothes, a dhoti, a shirt, a shawl and a red ‘Pagadi’ (Marathi cap) on his head.